Austin is home to a great number of world-class college athletes. They are guided by an even more stellar staff of elite coaches. Their diets are often closely monitored and their training is rigorous. It can be challenging, to say the least, to perform continuously at a high level both athletically and academically. Something usually has to give. And often times it is sleep. 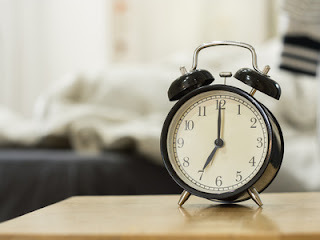 Many college athletes are required to work out or train in the very early hours of the morning or the latest final hours of the day, when their bodies could actually benefit more from sleep than sports practice. Sleep deprivation can take a toll on student athletes and ultimately lead to burnout and exhaustion, and even injury if not careful. A recent study from the University of Queensland in Australia found that earlier start times for training and practices led to increased fatigue and less productivity throughout the day. While coaches and students are both often driven to train around the clock, they should be more conscious of the importance of sleep and downtime to allow the body, and mind, ample time to rest and recharge. Although it can be difficult for a coach to accommodate everyone's class schedule with gym or facility availability when scheduling practices, they should still be aware of the hours and effect that lost sleep can have on an athlete. Alternating practice times as much as possible during the day with off-hours is one good option. Student-athletes also should take care to prioritize schoolwork and ensure that sleep itself is an important part of their daily routine. The greatest talent can never fuller emerge in competition if shrouded in fatigue and sluggishness. And for everyday athletes, the message is the same, be mindful that you are getting enough sleep and rest to help your body recuperate from your regular workouts and exercise routines.